Sweet Buccaneer Costume By: Forum Novelties, Inc for the 2015 Costume season. Ahoy matey! 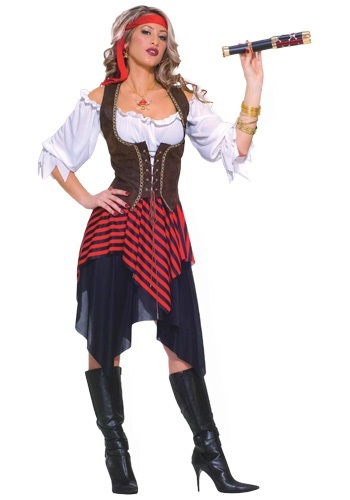 This Sweet Buccaneer Costume is great at serving up some beer and making bad pirates walk the plank. Pick up a sword and some pirate boots to make this costume look intimidating yet seductive!